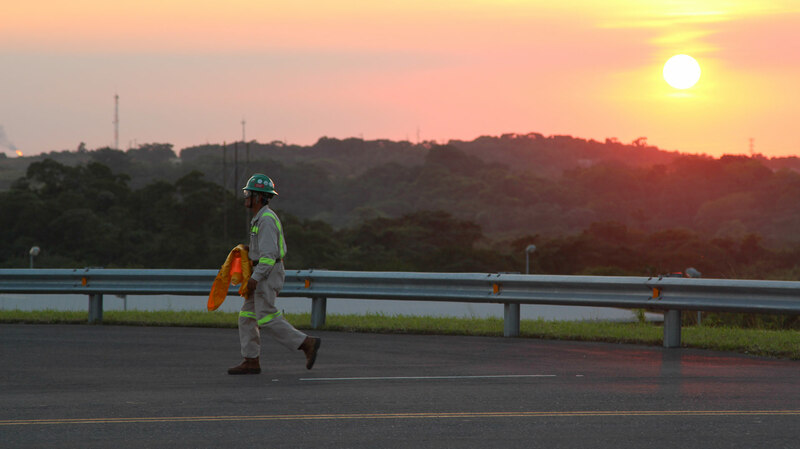 / Modified nov 20, 2017 4:40 p.m.
A worker leaves a petrochemical complex in Veracruz. MEXICO CITY — Mexico and the U.S. are planning to create a cross-border energy relationship that ultimately will eliminate both countries’ dependence on the rest of the world for oil, electricity and natural gas. The two countries are working on several strategies to continue sharing energy resources and increase their strength as a region. Guillermo García Alcocer, president of Mexico’s Commission for Energy Regulation, said the relationship between Mexico and the U.S. is very positive, energy-wise. Representatives from both countries met last week in Houston and committed to make the North American region independent from the rest of the world. As for the energy exchange in the Sonora-Arizona region, García Alcocer says that power interconnectivity is making progress, while gas investment keeps growing. The goal is to double the number of pipes that feed gas from the US to Mexico.